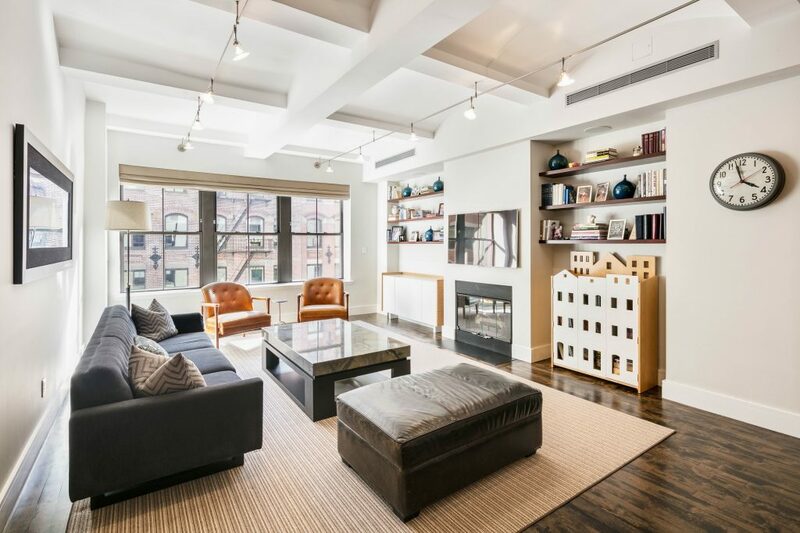 Experience effortless style and historic proportions, in this immaculate three-bedroom, two-bathroom condominium with a generous floor plan in a revered full-service Tribeca building with low monthlies. 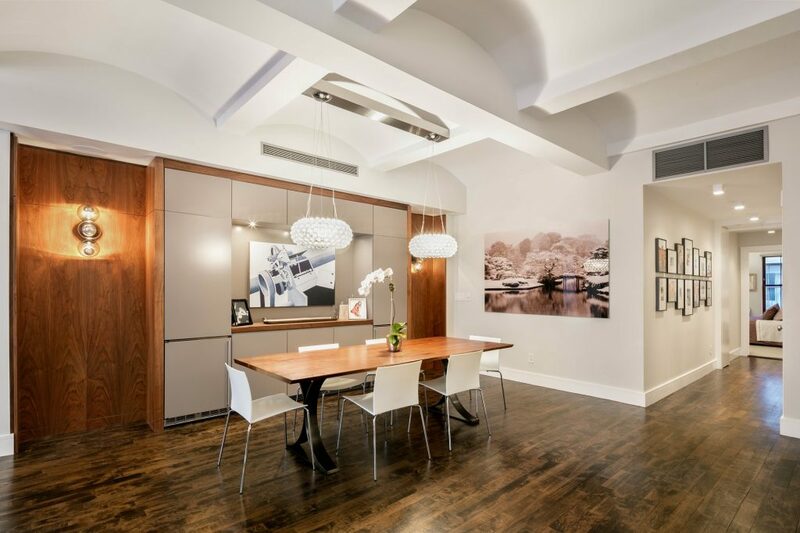 Keyed elevator entry delivers you directly into this sprawling 2,134-square-foot residence to take in tall barrel-vaulted ceilings and deep-stained hardwood floors. Ahead, a wall of windows floods the airy great room with southern light and historic views, and handsome built-ins flank the warm gas fireplace. Chic paneling, cabinetry and designer lighting define the stylish and well-appointed dining area, while the adjacent pass-through kitchen inspires culinary greatness with its custom cabinetry, granite countertops and stainless steel appliances by Viking and Sub-Zero, including a dishwasher and vented gas range. Breakfast bar seating adds total convenience. 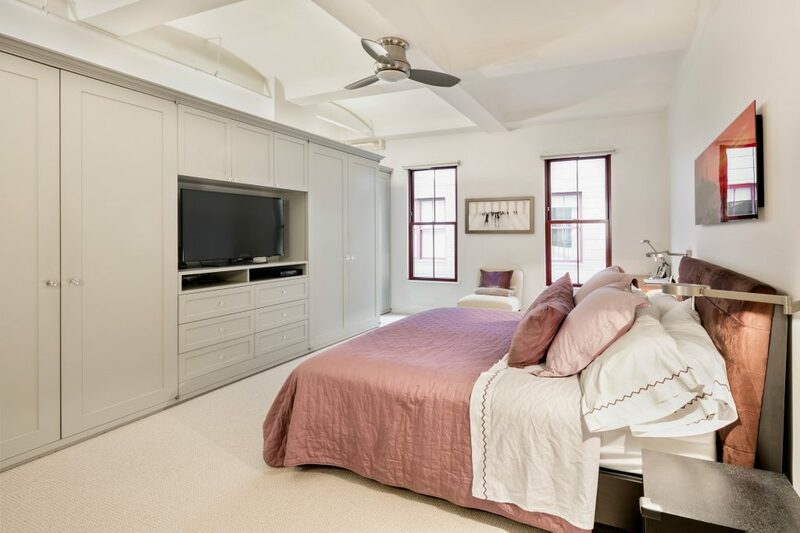 Bedrooms throughout this beautifully designed home feature wide windows, roomy closets and gorgeous built-ins that add storage and desk space. 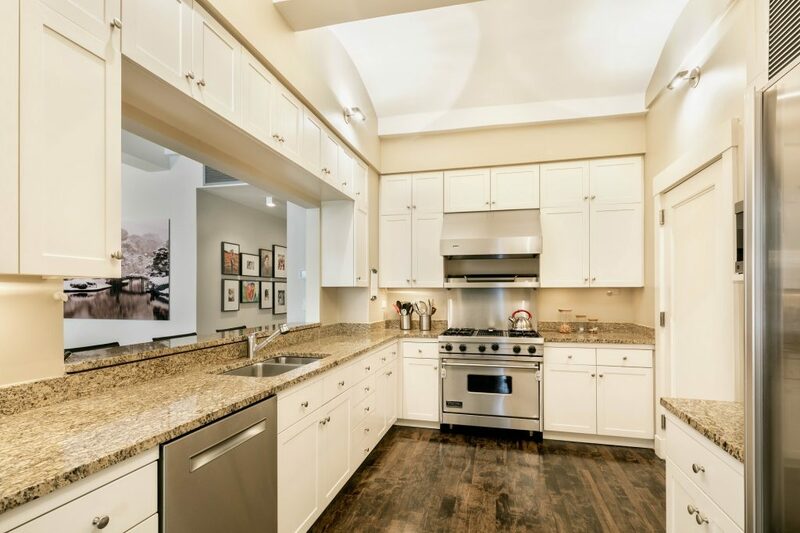 In the master suite, a full wall of cabinets and a walk-through closet accommodate wardrobe needs, while the oversized spa bathroom dazzles with abundant marble, a double vanity, soaking tub and separate walk-in shower. 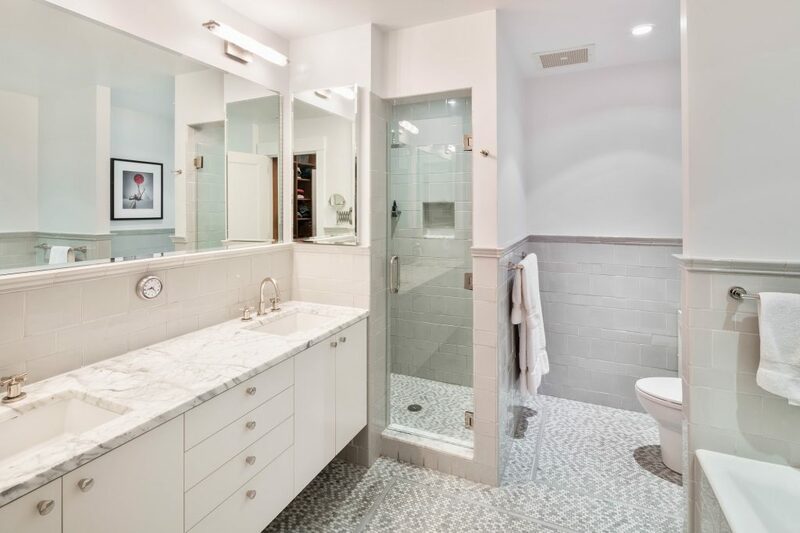 The well-planned second bathroom features two convenient doors, and the hallway is lined with tons of additional storage and a wide laundry closet with in-unit washer and vented dryer. The home has three zones of central cooling and heating. 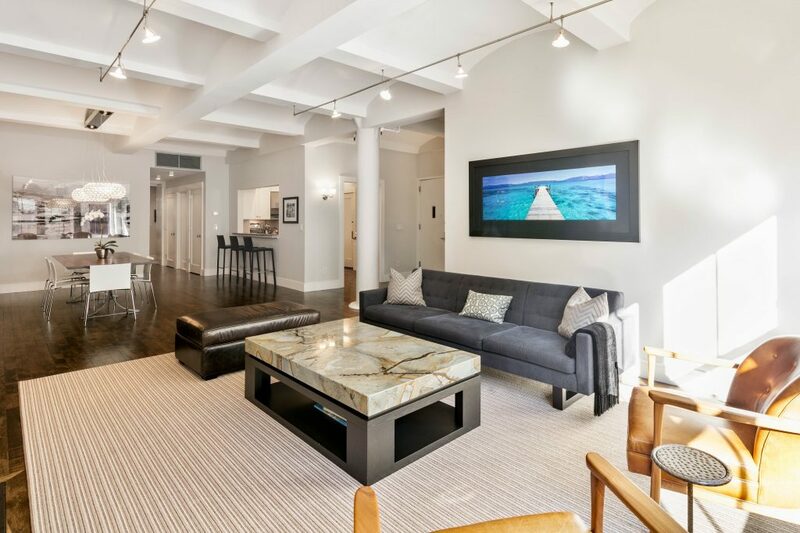 Located in the Tribeca Historic District, The Ice House is a Romanesque Revival building featuring one of the area's iconic sheet metal awnings and loading docks. Constructed in 1905 by Merchants' Refrigerating Company, the name references the building's original usage as a cold storage warehouse. 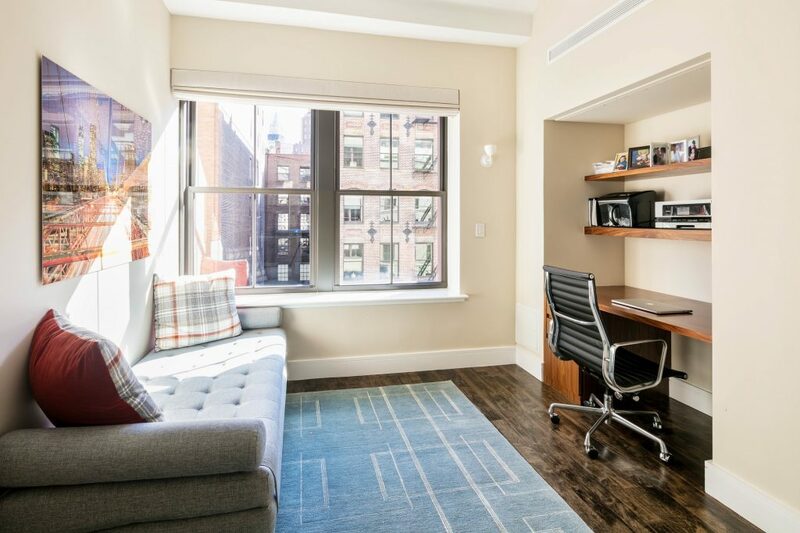 Converted to residential use in 1998, residents of this pet-friendly building enjoy full-time doorman service, live-in superintendent, gym, bike room, stroller room, a stunning roof deck, and direct access to parking. 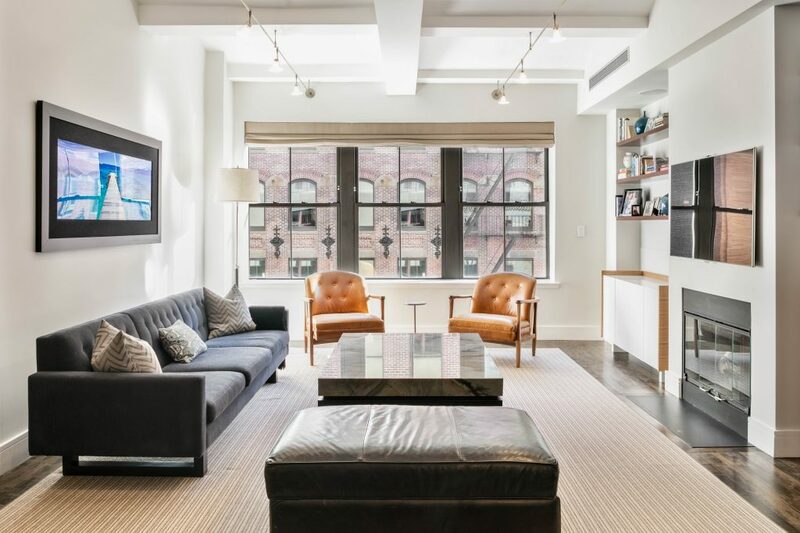 Occupying one of the premier blocks in Tribeca, this fantastic home is surrounded by an eclectic mix of the city's best restaurants, including Frenchette, Bubby's, Yves and Mr. Chow. Sprawling Hudson River Park offers 500 acres of waterfront open space and recreation, plus the Tribeca dog park and skate park. Nearly every subway line is within minutes of your front door, including A/C/E, 1/2/3, N/Q/R/W, J/Z and 6 trains, making this one of the most accessible neighborhoods in the city.